2.84 acres commercial site with 486 Ft. frontage on US 221 next to Walgreens. Owner may subdivide. House, outbuildings, Digital Billboard on Property. Great spot for Retail, Fast Food, Strip Center or offices with 30, 000 Traffic Count. 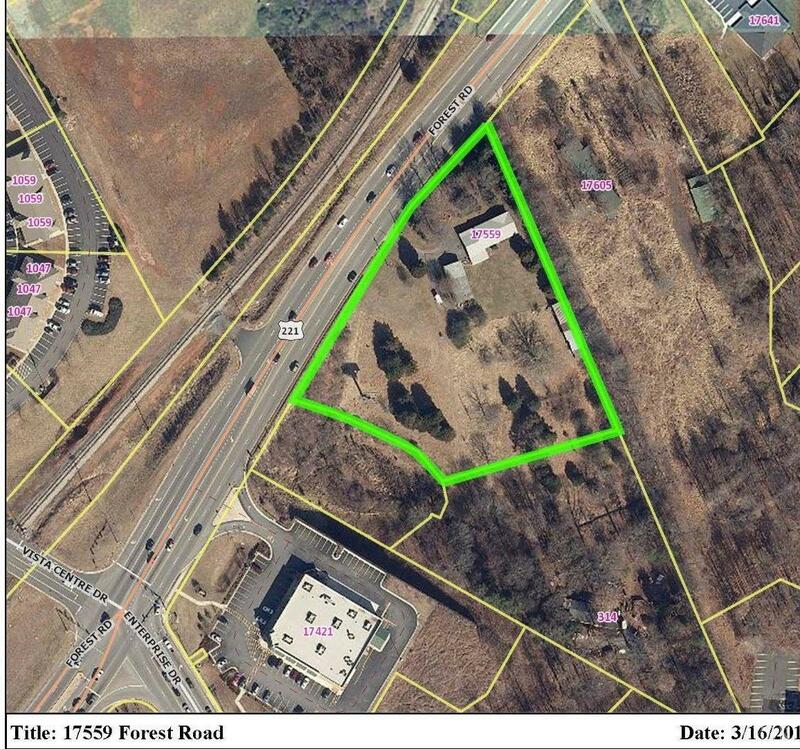 Last available land between Enterprise Drive and Graves Mill Road.